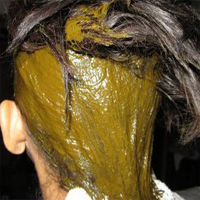 In this page we will describe you how to use Natural / Henna Hair Color on your hair, how prepare the Henna Paste or Henna Hair Color Dye prepared at home. 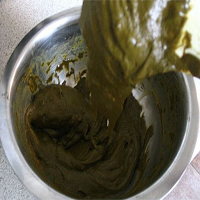 Take out the 100% Natural Henna Powder or Hair Color in a bowl. Add enough water to make it in a paste form. Be careful while adding water. 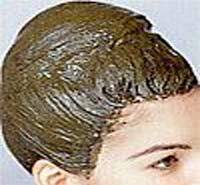 Make paste so thick, that it can be easily applied on hair. 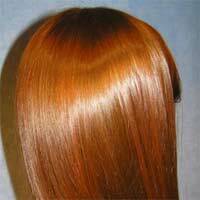 If you are using hair color, the paste can be applied immediately. If you are using henna, then you can keep the paste for few hours, as depends on how dark of light shade you are looking for. You can use your hand or New jodi of Kitchen rugger gloves. If you are using hands, then apply the henna with two fingers. Start from the bottom back of hair and apply towards root. Be careful, not to tangle the hair. cover your hair with plastic wrapper. Keep the covered hair for 4-5 hours for dark shades or you can wash your har after 1-2 hours for lighter shades. You can use soap or shampoo for washing hair. Can use a brush to apply dye or color on hair. Take strands of hair and apply the paste to reach roots of hair. You can use toothbrush to reach roots. Wash the hair with warm water, (you can use soap or shampoo).